A platformer game by Tarsier Studios. The player assumes the role of Six, a heroine who was kidnapped by monsters and locked in an underwater complex called The Maw. Little Nightmares is an original platformer game developed by the independent Tarsier Studios. The production was announced in 2015 and was initially entitled Hunger. The project, partially financed from Nordic Game Program funds, won the Best Indie Game award at gamescom 2016. The game was released for many platforms, including PC, PS4 and etc.. 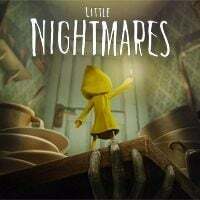 In Little Nightmares, the player assumes the role of Six — a girl in a yellow water-repellent coat who was kidnapped by monsters and imprisoned in an underwater complex called The Maw. Her task is to escape this ghastly place. Achieving this goal is not simple, though, because the heroine has to face numerous dangers conjured by childhood nightmares. Little Nightmares for PC, PS4 and etc. is evocative of such productions as the cult Limbo. The action is presented from a side view, while the gameplay is based on hopping from platform to platform, and solving environmental puzzles that require agility and logical thinking. In this way, we can unlock the path to the next room and thus move towards the exit from The Maw. Threats to the protagonist’s life are, first and foremost, nightmarish, overgrown enemies such as a horrifying cook. The girl is unable to fight them since she is only armed with a lighter. Therefore, the player has to sneak behind their back and do so without making too much noise because drawing our opponent’s attention can end tragically for Six. Little Nightmares for PC, PS4 and etc. is characterized by high-quality three-dimensional graphics. From among other platformer games, the title is distinguished by its grim style and toned down colors. This guide contains advice and control scheme, which will allow you to hit the ground running with this game and immerse in its world. Our solution will allow you to solve every puzzle in the game.